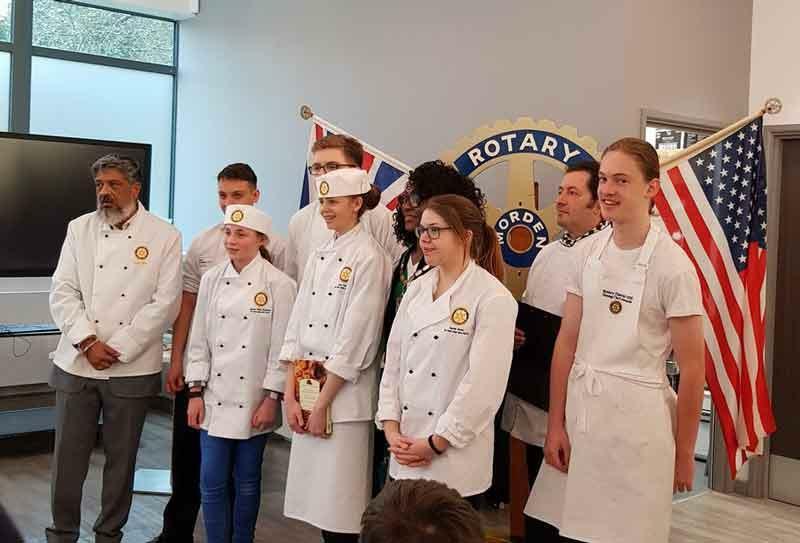 Senlac Rotary sponsored Young Chef Zachary Allen from St Leonards Academy continued to show his cooking prowess at the Regional Finals of the national Rotary Young Chef of the Year competition held at Merton College in Morden Surrey on 17th March. 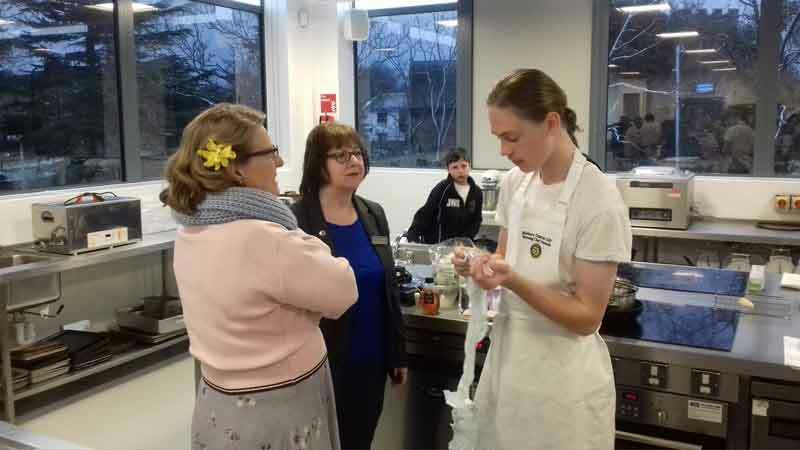 Following a delayed start because of the weather six candidates from the three south eastern districts, including London, cooked for a distinguished panel of judges from the Craft Guild of Chefs. 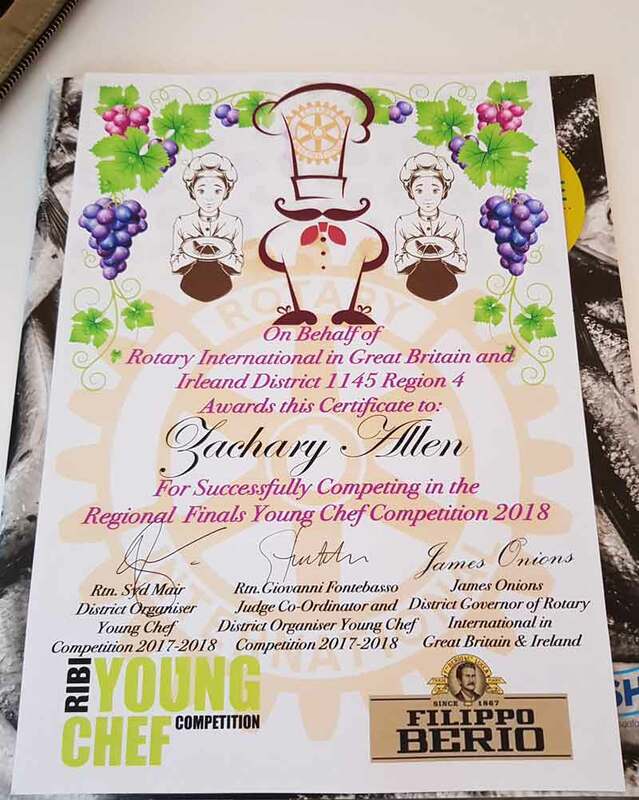 Zac, whose menu was Duck with Caramelised Plums, Salmon with Mussel sauce on a Root Mash and Golden Chocolate Balls with Cheesecake Filling and Raspberries, unfortunately didn’t progress further but received encouraging praise from the judges for his skills. One judge said, “Had it been his day and all had gone to plan this menu would have been the winner” and another hoped “You will be here next year because you have a real future in this business.” Zac was disappointed but said, “ I’m really pleased with what I did today and the judges’ comments were great”. 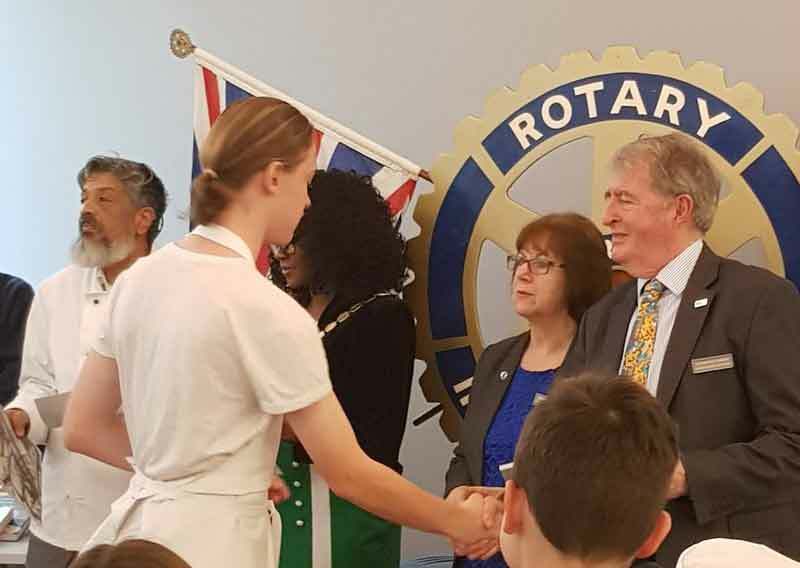 The winner was Kitty Grosse, sponsored by the Rotary Club of Fleet, and the runner up was the youngest competitor there, Jasmine Williams-Richards, sponsored by the Rotary Club of Billingshurst. Kitty will now take part in the National Final on 28th April. 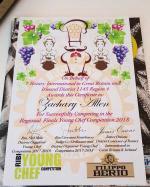 The Young Chef of the Year competition is open to all students in full time education and aged between 11 and 18 on 31 August 2018. If you have a love cooking, or know a student who does, contact the Rotary Club of Senlac.